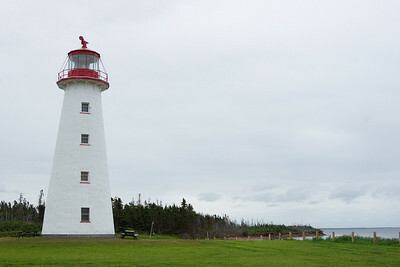 The lighthouse appears to be in operation, given the Coast Guard sign on the property. It is staffed by volunteers who offer a tour. A $2 donation is encouraged. 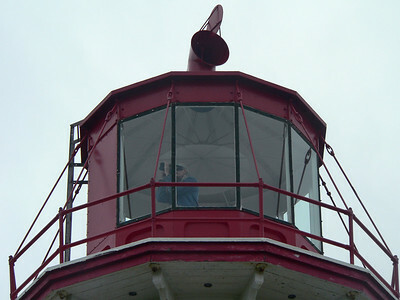 On climbing the three levels (more a ladder than a stair), one encounters displays and artifacts from the early days of lighthouse operation, including the light-keeper's sleeping quarters (a narrow bed, night stand and chamber pot). 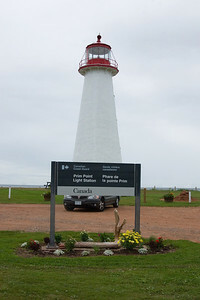 It is the oldest lighthouse on PEI (1846) and the only round one. Its walls are 18" thick made of brick. Years after original construction it was sheathed with wooden strapping and shingles. Height in meters above ground: 18.3. 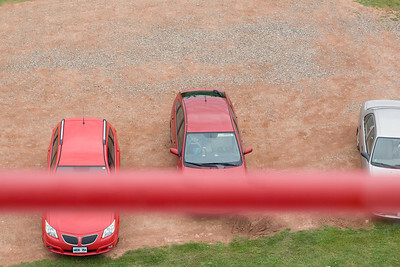 It was not the best day for shooting from the top of a lighthouse - overcast and occasional drizzle. 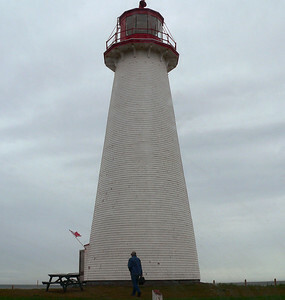 The lighthouse from the west side. You can see that the light is occluded in a roughly ENE direction over land. Looking NNE from the top of the lighthouse. 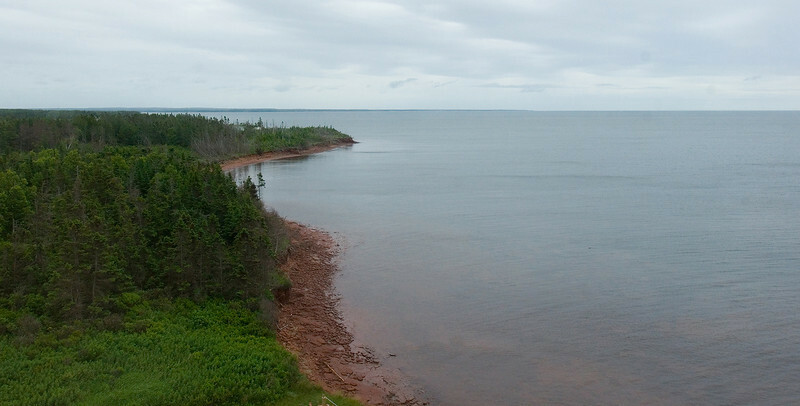 Almost in the middle of the picture is the entrance the Charlottetown harbour, about 17 km away. Looking ESE from the top of the lighthouse. 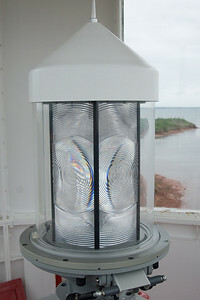 The modern electric light and rotating housing. The housing is apparently always rotating even when the light is not on. The photographer photographed, attempting to get shots through the windows. Looking down at the parking lot.